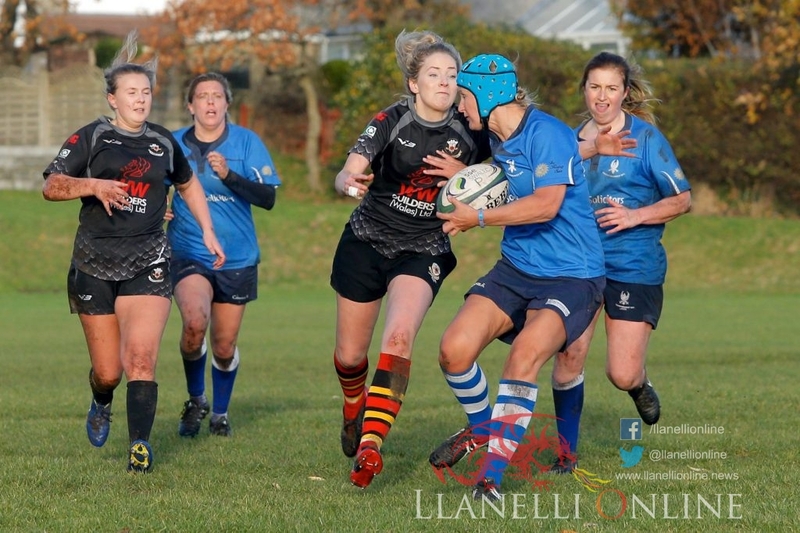 On Sunday (Nov 11) Burry Port ‘Lady Blacks’ welcomed Haverfordwest Ladies RFC to the Memorial Park in a division 1 fixture. 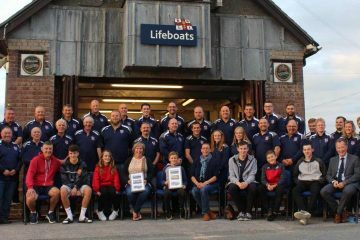 Just before kickoff both teams, officials and supporters all stood for a minutes silence to remember those who have fallen in conflict. 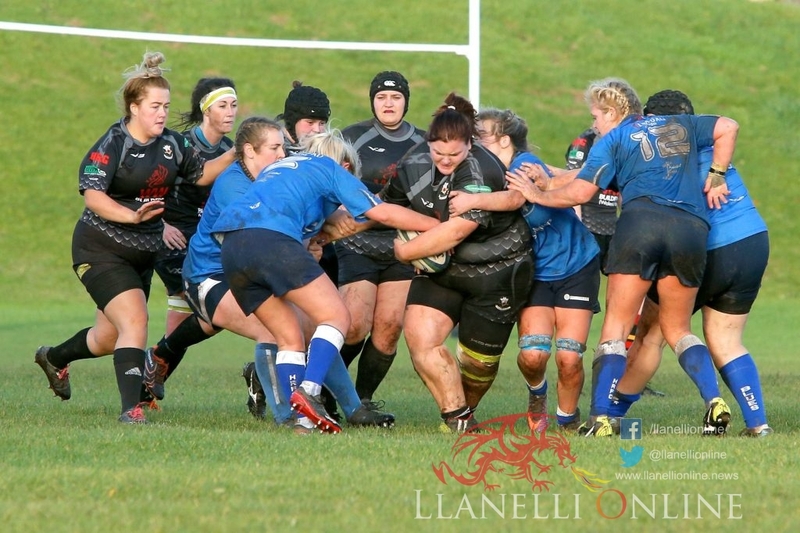 The opening exchanges showed exactly how physical this encounter would be as both teams put some big tackles in and carried the ball hard. 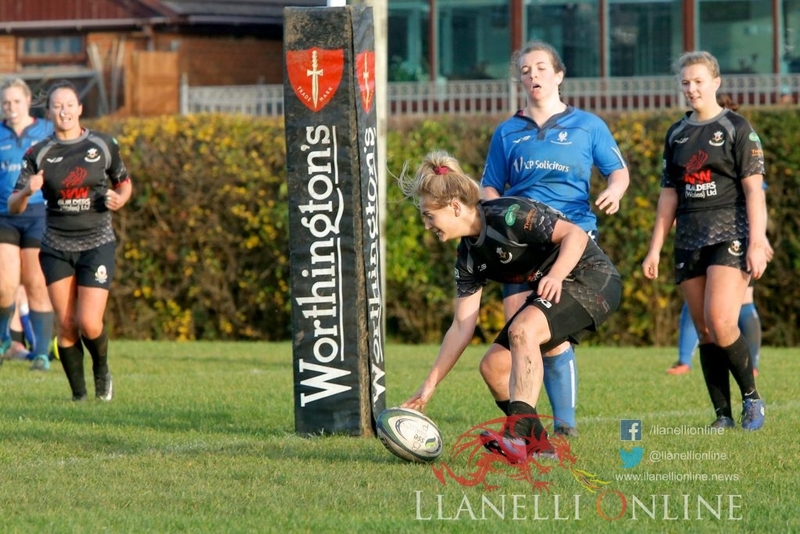 Burry Port were the first to cross the whitewash as Captain Catrina Bowen forced her way over, with the conversion attempt going wide. 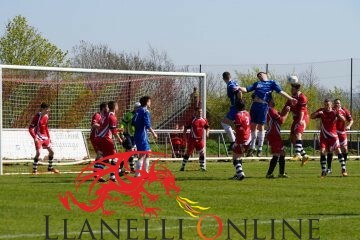 The home side’s backs were looking more dangerous every time they got the ball out wide. 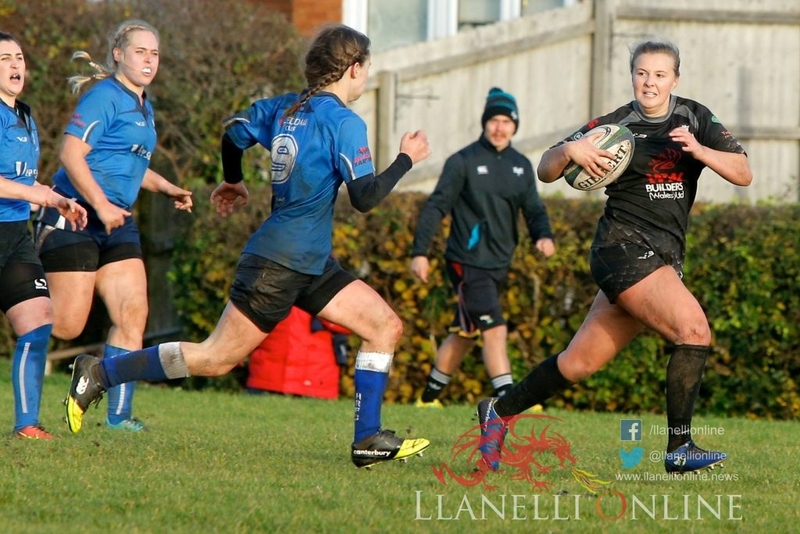 All the effort resulted in the next score of the game as outside-half Rhian Jenkins glided through a defensive gap to score, with the conversion once again going wide. 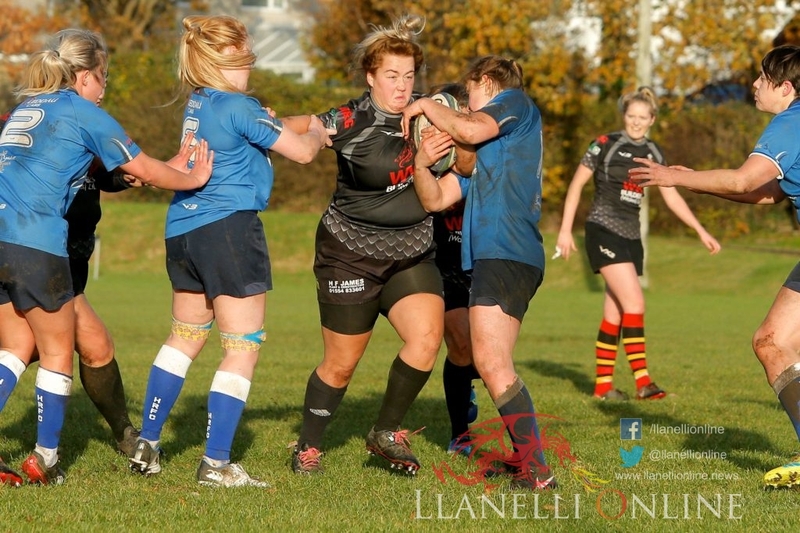 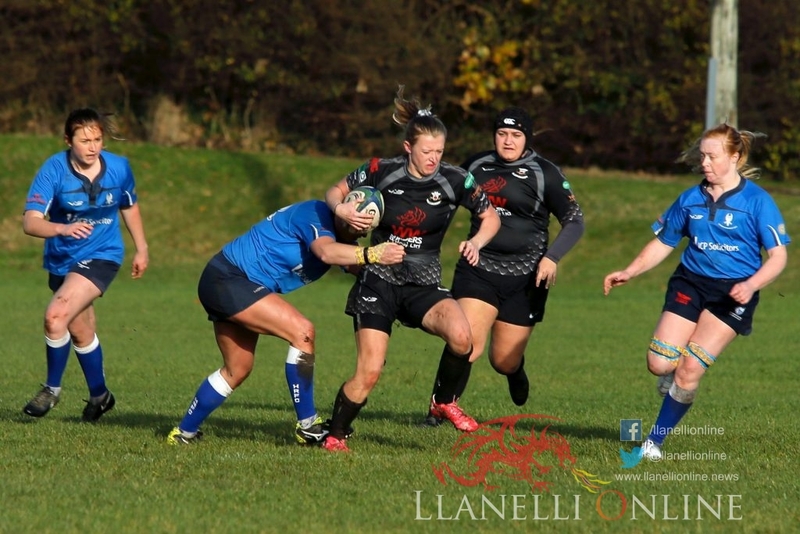 The ‘Lady Blacks’ continued to mount the pressure on the visitors for the next ten minutes until number 8 Llinos Rees showed great determination to cross for the next try to take the lead to 15 – 5. 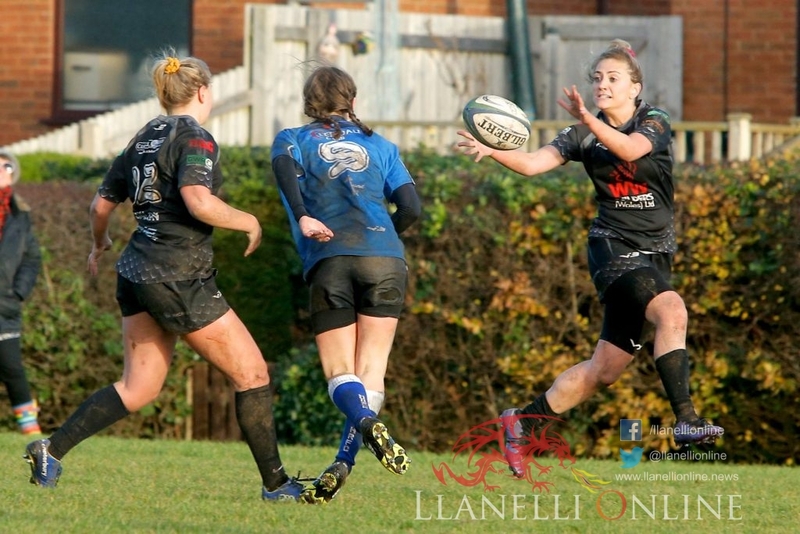 On the stroke of half time, the Burry Port secured a bonus point as they saw a lot of space out wide, showed some excellent running and passing skills which resulted in winger Meleri Hicks-Roberts racing in for the important score. 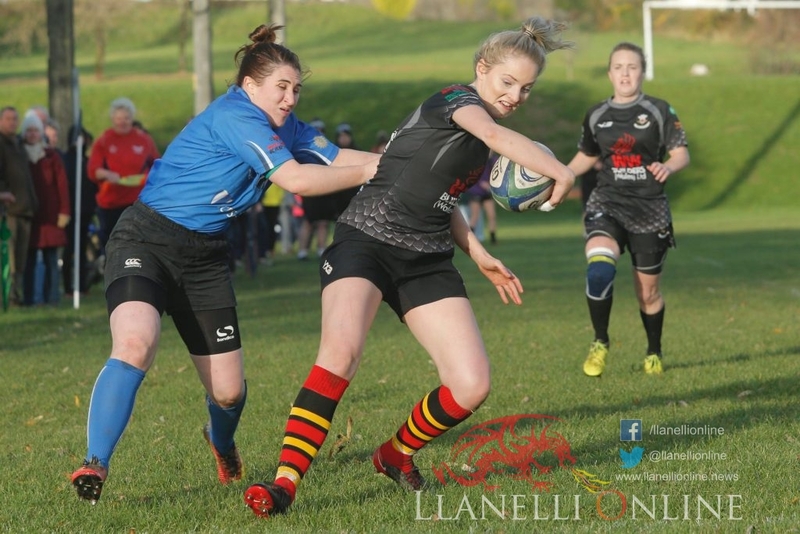 After a well appreciated break, Burry Port were determined to turn the screw, and put the game to bed and after about ten minutes, home side number 8 Llinos Rees received and carried the ball very strongly to cross for her second of the game, taking the score to 25 – 5. 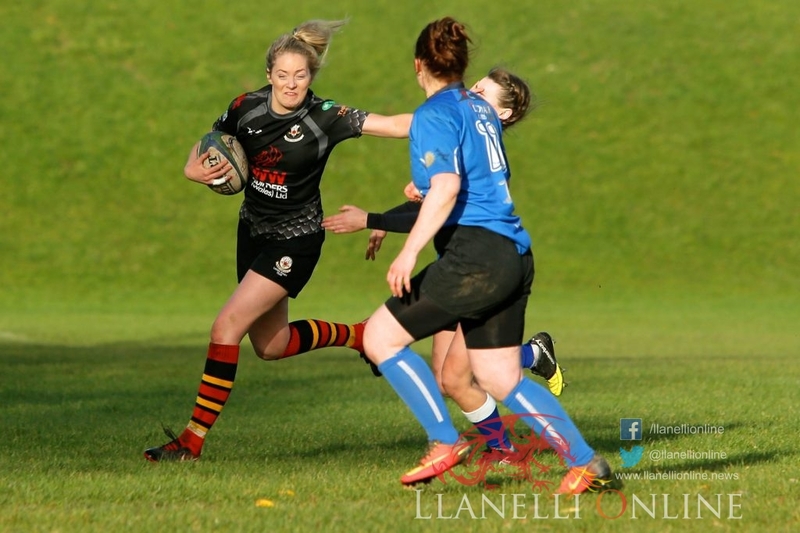 There was also a second try for outside half Rhian Jenkins after some beautiful play Burry Port had the gas to run almost half of the field and although being tackled, showed good awareness to reach out and ground the ball. 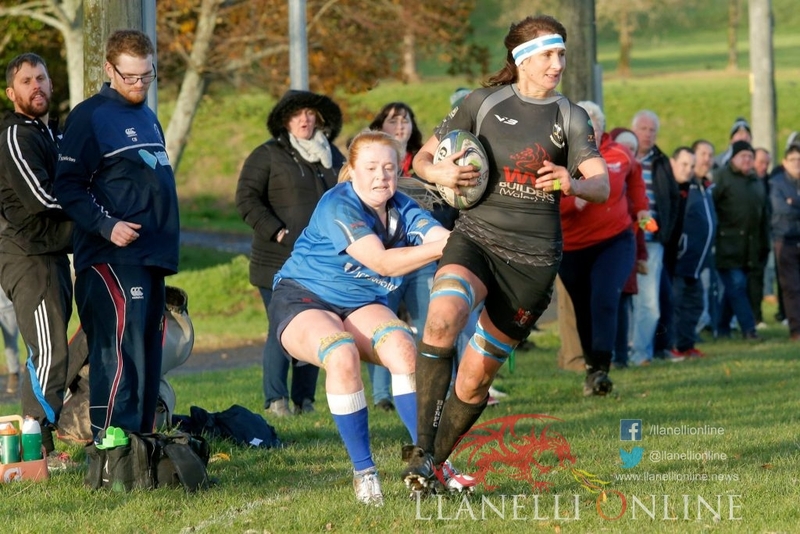 The extras were added from the boot of Keely Evans. 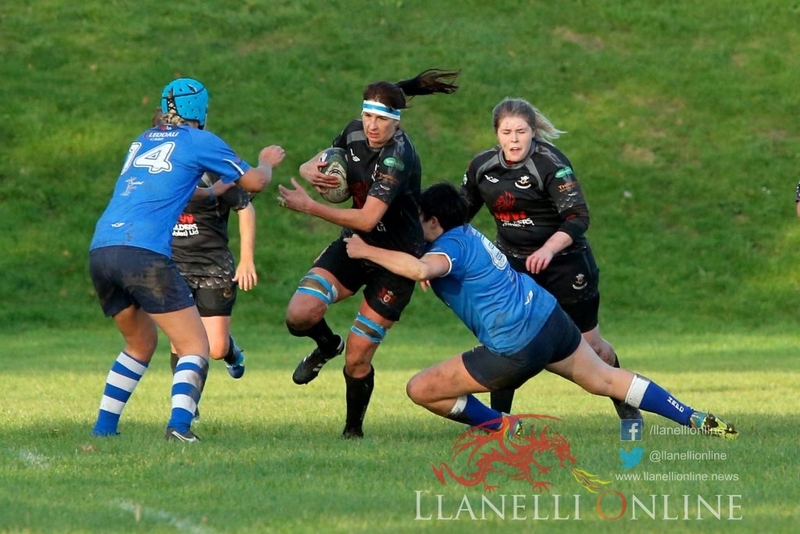 The final score of the game came through home team captain Catrina Bowen who spotted two tired forwards in-front of her and showed good speed and agility to take them on the outside and run in and score under the posts with the conversion being added once again by Keely Evans to make the final score Burry Port 39 – 5 Haverfordwest. 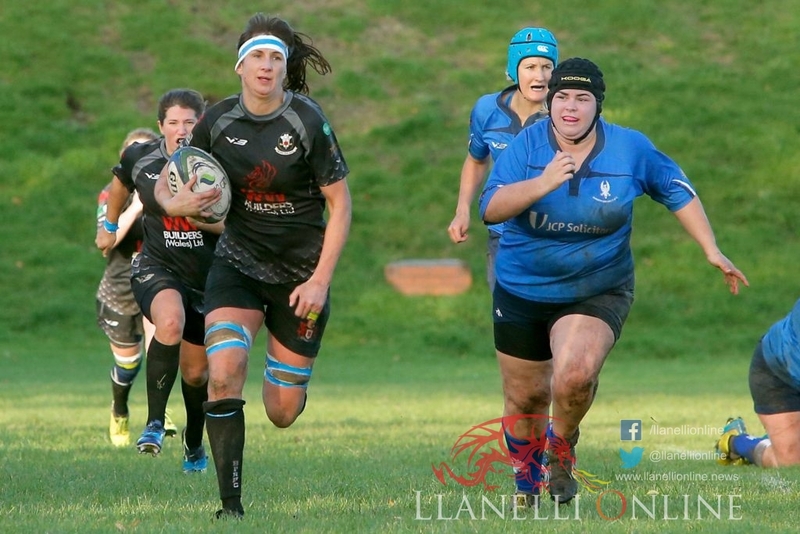 The girls now look forward to a break next week as they recover and prepare for their next fixture away to Lampeter Ladies on the 25th November.